Barbell deadlifts have taken the spotlight since the beginning of time but are dumbbell deadlifts effective enough to use in your routine regularly? Just think of the dumbbell deadlift as the younger brother to the barbell deadlift; which is probably the most grueling, yet effective compound movement you could ever do! The dumbbell deadlift is, however, different because although you cannot use as much weight, you’ll naturally engage the use of different muscles to perform the movement. Your stabilizer muscles have to work extra hard while your balance and core strength will really be tested (Well… it is a form of a deadlift so mostly everything will be tested). How Do Dumbbell Deadlifts Compare to Barbell Deadlifts? During a dumbbell deadlift, your muscles have to work harder to balance the weight which prevents you from being able to use the maximum weight possible. Now, many people believe barbells are better because you can lift heavier but the thing is… if you want to build as much muscle as possible, you must have variety in your training. Our bodies adapt to certain stimuli after a period of time, so when you test different grips and angles, it must now adapt to the new stimulus. Many people do the same movements over and over again and when they try something new, it’s really difficult because of grip placement, new stabilizer muscle activation etc. This is why it is good to experiment with variation to hit different muscle fibers and increase strength in different areas of the body. 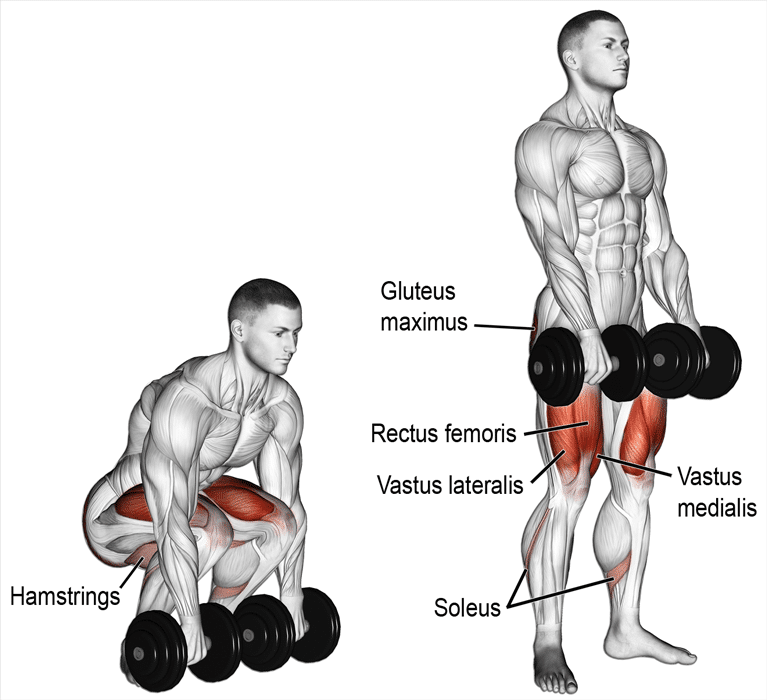 How Effective Are Dumbbell Deadlifts? Dumbbell deadlifts not only help build muscle and strength but they also contribute to improving your grip while allowing the joints to move more freely than a barbell would. You’ll still see the same benefits as you would with a barbell deadlift but to a different degree and even with some advantages due to the unilateral movement. This is because a deadlift uses a lot of energy and activation of several muscles. Now, can dumbbell deadlifts be an effective substitute for barbell deadlifts? The straightforward answer to this in regards to overall muscle mass and strength development is… Possibly! Although dumbbells deadlifts are fantastic for overall improved muscular functioning, they still may not provide the same amount of overall tension and strength-building potential that a barbell would. Now, obviously if you want to do heavier deadlifts with a barbell you’d have to keep practicing deadlifts with a barbell, and same with dumbbells but if we are talking about muscle growth potential… the answer to whether dumbbells are as good as barbells require a deeper analysis. How could dumbbells offer an advantage over barbells for deadlifts? Dumbbell deadlifts are incredible for allowing you to improve the stability and coordination of your muscles while offering additional functional benefits. So, Should You Incorporate Dumbbell Deadlifts Into Your Routine? It depends on your goals because if you’re not serious about your training than they may not really be necessary. However, if you are serious about your training, then they are a fantastic addition to your training routine. Variety is key to progressing in the world of fitness! Now, one limiting factor to dumbbell deadlifts is if you outgrow your gym’s dumbbells you’ll have to be creative in how you perform them. For example, you may get strong enough to lift your gym’s heaviest dumbbells but how do you increase your weight as you progress. This is really the only drawback along with having to increase weight in five-pound increments with dumbbells. However, the movement itself is great for all of the previously mentioned reasons (Grip strength, muscle imbalances etc. )So even using what you have is more than acceptable. 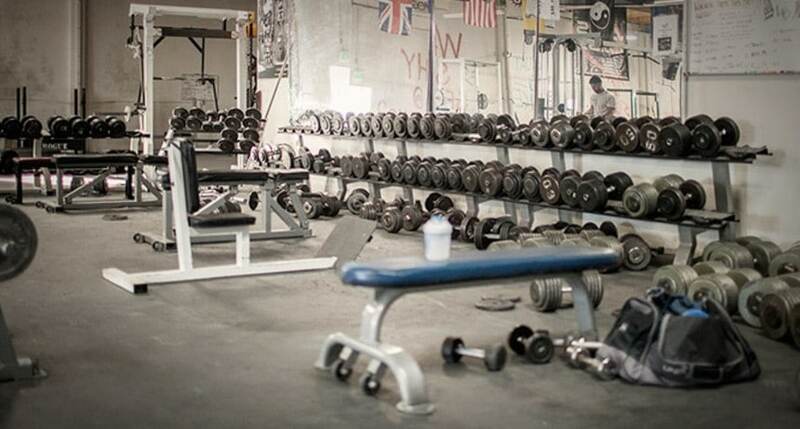 Obviously, with barbells, there are usually enough plates in any gym to test your strength to the absolute limit. 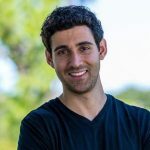 You’ll actually seldom see anyone performing dumbbell deadlifts in gyms these days and the reasons are probably related to the barbell being the standard for deadlifting. This by no means implies that dumbbells cannot provide you with an intense and effective workout. Dumbbell Deadlifts Get the Green Light! If you were hesitant to use dumbbells for your next deadlifting session, then abandon your doubts because dumbbell deadlifts are here to stay and you can get an amazing workout by utilizing them. Are they a replacement for the “Iconic barbell deadlift”?… No! If you desire to maximize your strength potential, then a barbell deadlift is the desired choice. Although dumbbells can provide crazy strength gains, the action of having to stabilize and coordinate the weight in order to perform repetitions will require more initial energy than a barbell would. But the grip variation and coordination improvement will provide you with obvious benefits. Both powerlifters and bodybuilders make sure to utilize dumbbell training in an effort to perform better on barbell movements as the stabilization muscles really become developed, which helps out every aspect of any lift you perform. We hope you took at least one thing from all of this useful information which is the “fact” that dumbbell deadlifts can provide so many great benefits to you and your progress that it’d be foolish to not implement them. Hafthor Bjornsson Squated Outstanding 880 lbs!